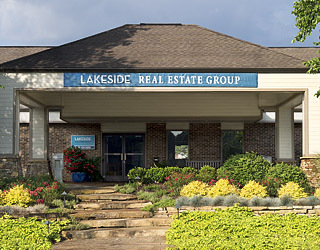 Lakeside Real Estate Group has been introducing families to the leisure living of the Tellico Lake area since 1989. It is the place that we call home, and our commitment is to this community and its residents. We offer unsurpassed real estate service to both buyers and sellers in East Tennessee. Lakeside Real Estate Group is dedicated to the growth and success of this community, and we provide our customers and clients the highest level of professionalism in the industry. Please click on any name to send E-Mail directly to that person. Jan is the Principal Broker of Lakeside Real Estate Group and has been selling Tennessee real estate since the early 1990’s. Born and raised in Northern New York, she relocated to East Tennessee and made this area her home. Jan began her real estate career in Tellico Village and specializes in residential properties in Loudon and Monroe Counties. She enjoys meeting new people and prides herself for her excellent customer service to both buyers and sellers. She enjoys playing the piano, reading, playing with Tucker, her precious Miniature Schnauzer, and when time allows – playing golf and boating on the area lakes. Jan is a licensed Broker in the State of Tennessee. She is an Accredited Buyer Representative (ABR®) an e-PRO® Internet Professional, a Seniors Real Estate Specialist (SRES®) and a Seller Representative Specialist (SRS®). Jan is a multi-million dollar producer with over 17.5 Million in Listings and Closed Sales in 2017. Visit Jan’s personal real estate website at www.jan-tucker.com. Call her, you’ll be glad you did. After working and traveling extensively across the United States and much of the world, John and his wife Suzanne settled in this beautiful area where the scenic shores and waterways of Tellico Lake blend with the beautiful peaks and valleys of the Great Smoky Mountains. With experience at Rarity Communities and now Lakeside Real Estate Group, John knows value – both in the region (no state income tax and the second most inexpensive property taxes in the nation, excluding Alaska) and in specific properties. If you’re interested in a home or a homesite in Tellico Village, Rarity Bay, Rarity Pointe, Tennessee National, or the surrounding area, please allow him to assist you. John promises to make your interest and concerns his number one priority. Dwayne is a native East Tennessean, born and raised in the Fountain City (Knoxville) area. Upon graduating college, he spent 13 years owning and operating a family HVAC business before deciding to enter another line of work. After deciding to pursue a career in real estate sales he spent two years at another brokerage before coming to work for Lakeside Real Estate Group. In addition to selling real estate in Tellico Village, he is actively selling in and around the surrounding area. Dwayne is married, has two children, and lives in the Karns community. Dwayne is active in coaching youth baseball, Boy Scouts and traveling to watch his daughter compete in gymnastics. When not involved in any of the above he can be found camping, hunting, or fishing with his son and friends. If you’re looking for a Realtor that will put your concerns first, Dwayne is your man. Mark spent ten years as a Police Sgt. with the Monroe County Sheriff’s Department, and eleven years as a Sgt with the Sweetwater Police Department. His training was primarily in Traffic Accident Reconstruction, and he was head of the Department’s Fatal Accident Team. Retiring from Law Enforcement, he obtained his real estate license in August of 2005. Originally specializing in residential home and lot sales, he has since branched into commercial properties, and large land tracts. In 2007 he obtained his residential contractors license, and he has built several homes to date. He is a very good buyer’s agent, but prefers to list properties. Math is a strong suit for him and he enjoys the complexities of financial spread sheets. He thinks you can never get enough education, and he takes specialized real estate classes every chance he gets. He really enjoys his career and looks forward to helping people with all of their real estate endeavors. Roy and his wife moved to Tellico Village in 2005 and have loved every minute of the time here. It is now “home” for them. As he says,” I flunked retirement. I got bored and wanted to get back to work dealing with people because I enjoy it”. He spent his last years before retirement working in executive positions that required constant customer interaction and selling real estate is just a carryover of that experience. Roy knows very well the process people go through when looking for their retirement location. He had purchased a lot several years before moving to Tellico Village and had his home built. Growing up and living in the south and then living in Michigan for several years gave him the weather part of the “where do I live” equation, so he relates well to the things customers are looking for. If Tellico Village doesn’t offer all that you are looking for then we will be surprised. “I try to treat customers the way I want to be treated and work very hard to exceed their expectations. I care about people and the transition they are making and want it to be as smooth as possible”. Please call Roy with any Real Estate needs you might have. Professionalism with attention to detail is Dee’s primary focus when working with clients. Her previous professional and personal life experiences taught her that the customer is always right, and she knows buying a home is a consultative partnership where her job is to listen carefully to her client’s desires and needs, and efficiently work to make their vision a reality. She earned her Master’s Degree from UT in 1976, completed a successful 30-year career in customer service and sales with BellSouth in 2006, and makes her much-loved home in East Tennessee. Dee has an extremely strong work ethic, she studies the area and makes it her mission to assist her clients in every possible way — she is there for you before and after the sale, and has strong referrals to prove it. She is a certified ePRO internet specialist and works hard to make sure she is current on technology and changes that affect buyers and sellers. If you are interested in working with a Realtor who will go the extra distance to insure your satisfaction throughout the process — Dee is the one. Leona’s expertise in the Tellico Lake area market is unsurpassed. She started her career as a Realtor when the community was first developed — no roads, no utilities and no maps. Leona learned the inventory literally from the ground up, and she has been successfully meeting customer’s buying and selling needs since 1985. As a successful Educator, Counselor and participative citizen, Leona knows what needs to be done, how to get it done, and how to best represent the interests of her clients. A strong negotiator, she has an outstanding reputation for customer satisfaction and leadership in this market and in the local industry. If you want it done right, she is your Realtor! Steve is a native East Tennessean; being born and raised in Athens. He graduated from Tennessee Wesleyan College with a Bachelor of Science Degree in Business Management. He obtained Graduate Certificate in Accelerated Business Management from the University of Colorado – Denver College of Business. Steve has 25 years of retail sales experience, and retired from Johns Manville after 27 years in manufacturing management. His sales experience includes owning personal retail sales businesses and real estate affiliate broker. Steve and his wife Deanna live in Riceville, and have 2 children, 3 grandsons, and 1 granddaughter. Steve plays golf, and is an avid silver coin collector & grader. Steve is an Affiliate Broker with Lakeside Real Estate Group and looks forward to serving your selling or buying real estate needs. I moved to East Tennessee from Virginia in 1975 to work and study Mechanical Engineering. While in school, the engineering company I was with gave me the wonderful opportunity to work on many of their projects, one of which was the 1982 World’s Fair. I was on-site almost every day and I had a lot of fun working on such an important civic project. I came to realize during that time that I was very much a “hands on person.” In 1986 I became a personal assistant to one of the top real estate agents of Cooper Communities, the developer of Tellico Village. It was an exciting time to be living and working in this new community, and I am able to share my extensive knowledge of Tellico with the buyers and sellers I work with. In 1987 my son was born. What a treat it was for him to be able to grow up in Tellico Village, I think he was the first baby. In 1993 I left the developer and went out on my own, which was a great experience for me. In 1999 Cooper opened a resale division for Tellico Village. They called me and I helped that area of the company get started. I was their #1 producer from 1999-2009. In 2010 Cooper decided to close their real estate division, and I am now very happy to have joined the team at Lakeside Real Estate Group. In my leisure time, I enjoy playing tennis, boating and golfing. If you need an agent to help you in your search of property, and an agent able to give you the knowledge that most buyers want, give me a call. I specialize in homes, townhomes, and home sites. Please give me a call. Bonnie, a southern girl from Mississippi, fell in love with this area after visiting the Smoky Mountains for the first time in 1985. Originally from Washington State, I moved to the Knoxville area in 2002. Spent approximately 34 years working for Reynolds Metals/Alcoa and finally retired in 2007. I started my Real Estate career in March of 2008, because I knew I could make a difference on how people approached this hectic process of selling or buying a home. What I bring to the table is Loyalty, Compassion and Integrity, these are important pieces of the puzzle to help folks though this process. Highlight of my career is coaching my daughter in 2000 to the High School 4A State Championship in Girls Fastpitch at Kelso, Washington. To top this off, we had 4 girls get Full-Ride Scholarships at the Division 1 level. A native Tennessean, Ashley began her sales career at an early age, learning the business from the ground up. Starting work at Darter Steel in Lenoir City, she not only juggled outside sales for the company, but also managed the purchasing of materials for both the company and their clients. Needing a change and a challenge after 10 years, she joined Cook Bros Homes in 2013 with the idea of Business Development & Sales in mind. Ashley quickly made a difference with her eye to detail, her ability to think outside the box, and her desire to see Cook Bros Homes succeed. During the early part of 2016 she worked diligently to get her real estate license and hung her license at Lakeside Real Estate Group to bring Cook Bros Homes to the forefront of the industry, and to provide her clients the very best service. Raised a “Tar Heel”, Alden graduated from UNC-Chapel Hill and “entered” the USAF during the Vietnam War. Most of his 20 year career was spent as an instructor fighter pilot (2,800 takeoffs and landings) and operations officer. Alden was the Tactical Air Command chief pilot on the low altitude night terrain infrared navigation system for the F-16. His last assignment was the Targeting Officer for Central Command Air Forces for Southwest Asia. He had permanent flying assignments in 5 states and 3 countries. Alden earned a Master’s Degree in Asian History while in the Philippines and graduated from Squadron Officer’s School, Air Command & Staff College, and Air War College. After leaving the service, he ran an Air Force Junior ROTC program at Haywood High School in Brownsville, TN for 14 years. There were over 200 cadets per year in the AFJROTC and the program helped many young people broaden their horizons and achieve a better life. After moving 16 times, Alden decided to enter real estate and give clients the treatment he often wanted but did not receive. He remembered the good experiences and improved on the bad ones. Alden is a graduate of Realtor Institute, Accredited Buyer Representative and Senior Real Estate Specialist. He was the leading sales person at Village Realty from 2008 – 2015. During his free time, Alden and his wife of 40 years, Jane, enjoy tennis, golf, and spending time with their children and two grandchildren. Give him a call. Many people move to East Tennessee because of the moderate climate, the scenic hills and mountains, fishing and boating on the rivers and lakes, great golf courses and other recreational sports and activities. Many choose the area because of the relatively low cost of energy, property taxes and affordable housing. When William was planning his retirement, he and his wife Cindy, considered all of these prior to relocating to East Tennessee. William began a 35 year career with State Farm Insurance immediately after graduation from the University of Tennessee. He received several management promotions and accepted a number of corporate initiated relocations. William learned the importance of working with the right Real Estate agent and company with each move. Retirement didn’t mean ‘quit working’ it meant another opportunity to do something enjoyable and meaningful. William decided to change careers and use the knowledge learned in his previous work, applying it to his new career in Real Estate. His experience in property, contracts, negotiations, communications, interpersonal skills, ethical behaviors and management give William an advantage in the market. His volunteer work in the community has allowed William to become familiar with the area and the people. Williman’s work ethic, experience, energy and willingness to do what needs to be done in a very professional manner can make the process of buying and selling a home a successful and pleasant experience. My background and experience in providing excellent customer service has proven to be the edge that differentiates me from my competition in real estate. I do my homework so that my Buyers and Sellers have the tools and real time information required to navigate the housing market. Local market expertise is essential for the Seller when making decisions of whether to be “in the market” rather than “on the market;” as well as the Buyer who appreciates value and affordability. My dedication to my business, my clients and my community is evident by my continued education through industry designations and certifications programs: an Accredited Buyer Representative (ABR®) an e-PRO® Internet Professional, a Seniors Real Estate Specialist (SRES®), a Seller Representative Specialist (SRS®) and a Real Estate Negotiation Expert (RENE®). I have been a Broker for over six years and in the real estate business for fourteen years. I look forward to the opportunity to assist you in your next move. Barry is a retired financial and strategic planning executive from General Motors and moved from Michigan to Tellico Village in 1999. He loves the outdoors and meeting and interfacing with friends, family and new people which led him to immediately obtain an Affiliate Broker’s real estate license. He later obtained a Broker’s License, and with close to 19 years experience, he very much still enjoys working with a diversity of people and making their dreams come true within Tellico Village and surrounding areas. Barry has two daughters and a son and loves spending as much time as possible with them in their Boston, Philadelphia and East Knoxville homes as well as when they visit Tellico Village. Barry has served on the Tellico Village Property Owners Board of Directors (POA) and is quite knowledgeable about the workings of the Village and all that it has to offer both now and in the future. His hobbies include golfing, boating, singing and reading a good book, all of which lends itself to an active social and community life both within and outside the Village. He would welcome serving you to meet all of your real estate needs. Just give a call at (865) 680-6392 or email him at barrycorle@gmail.com. You’ll be glad you did! Michelle has been in the real estate industry for the past 21 years. She began her career in San Diego as an escrow assistant, moved to title and finally settled into being an agent. Licensed in 3 states, Michelle has built teams, coached agents and developed systems to ensure the success and integrity of every transaction. Over the years she has empowered her clients by sharing with them critical market knowledge, her experience and professionalism. Knowing that buying, selling and/or investing in real estate can be stressful and overwhelming at times; Michelle puts her clients’ needs first and is skillful at guiding them through the process. After moving to Tennessee, she quickly obtained her affiliate brokers license and got to work! With a desire to focus her business in the vibrant community of Tellico Village where she lives, Michelle made the move to join Lakeside Real Estate Group. Michelle is excited to continue providing her clients with world class service and expertise that only 21 years in the industry can provide! Nothing is more gratifying than helping others find the right solutions and properties, and Tom couldn’t be more excited to be doing that in East Tennessee. A small town with a big heart feel, Tom loves to take advantage of the four mild seasons in the greater Knoxville area, which provides year-round access to outdoor activity neighboring one of the most majestic mountain settings in the country. He finds peace on Tellico Lake while fishing, boating, and paddling with his 3 rescue dogs. I love living in East Tennessee, especially the Tellico Village lifestyle! My hometown is just outside of Detroit Michigan. I attended Henry Ford Community College, and shortly after that I decided to join the US Air Force. My tour ended after 6 years in Athens Greece. I moved to London, England and started a career in the Customer Services industry supporting Blue Chip companies. Many of these were in the Data/Telecommunications fields. After 25 years in Europe I decided to move back to the States. Having worked for the Tellico Village POA, has enabled me to meet, and get to know some of the most interesting people, from every part of the US and beyond! I love Pickle Ball, Grilling, Boating and just hanging out with friends! Call me today, 24/7, and I’ll work extra hard to make sure that your Real Estate transaction/experience is a complete success!! Our Office Administrator is a true East Tennessean! She grew up watching the construction of the Tellico Dam, and her knowledge of the area, its history, and its beauty is unsurpassed. She completed her education in Loudon, and she began her career in the real estate industry over 35 years ago in a key support role with Cooper Communities, the original developer of Tellico Village.